Size 69 1/2" x 79 1/2" unquilted. 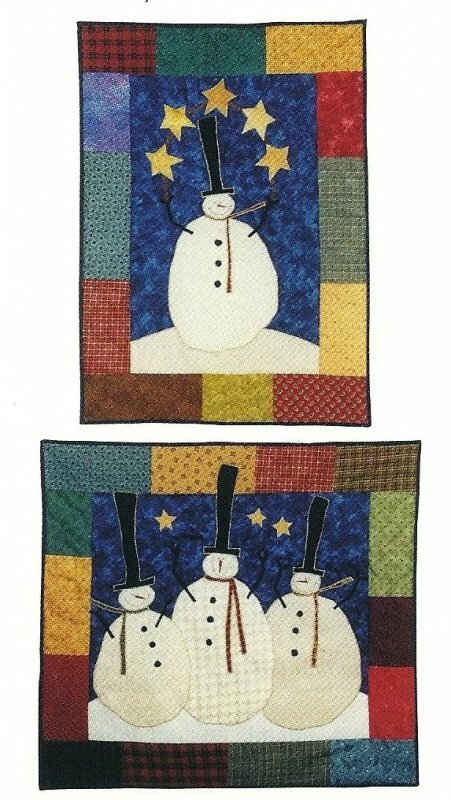 These snowmen are sure to warm your heart on a crisp day. Easy fusible applique allows you to complete projects quickly. 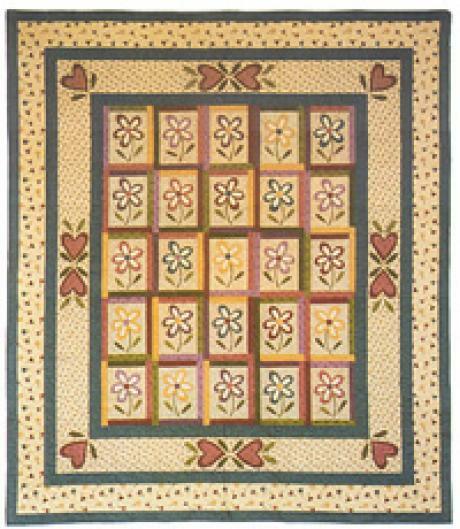 Pattern includes directions for 2 wall quilts. 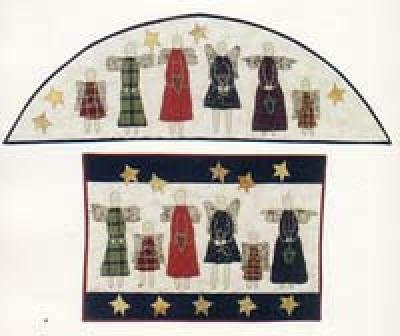 Scraps may be used for many of the applique shapes. These whimsical angels are sure to bring a smile to the hearts of all. 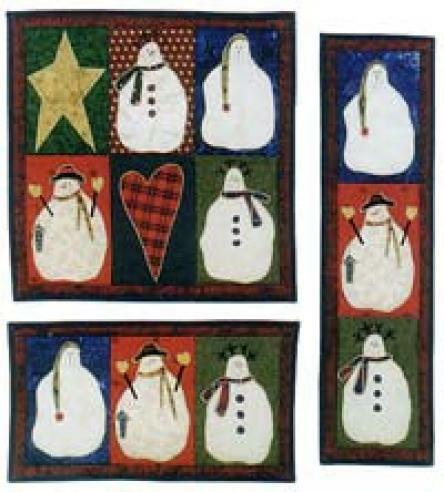 These whimsical snowmen are sure to bring warmth to your heart through the cold winter months. Celebrate the true meaning of Christmas with these two nativity scenes. Don't wait til Christmas to enjoy these Santa families. Ring in the holiday season with these festive holiday tablerunners. These holiday ornaments are sure to add a touch of country charm to any tree. 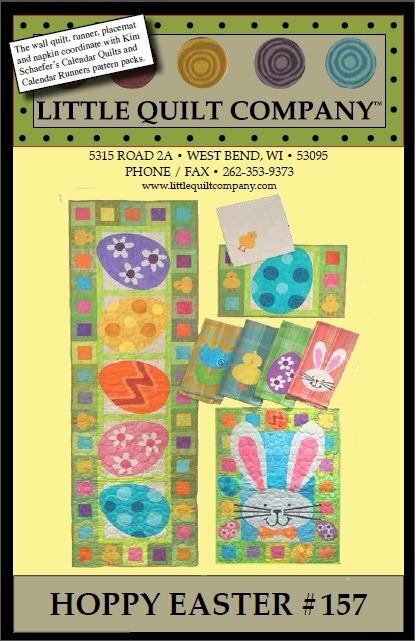 Fast, fun and easy to complete with fusible applique. Ornaments make a great gift giving idea. 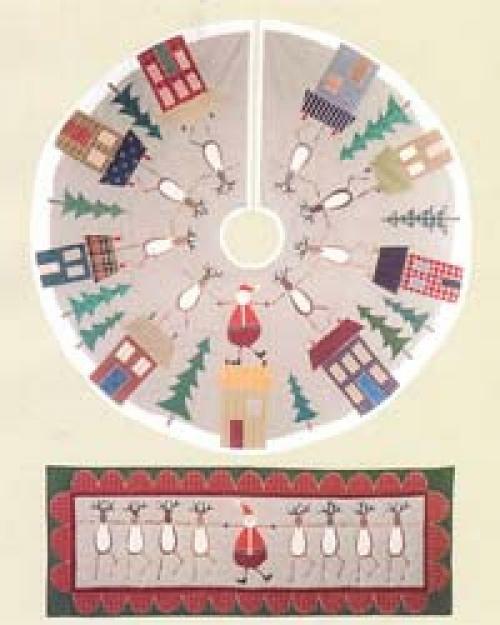 Pattern includes directions for twelve different holiday ornaments. 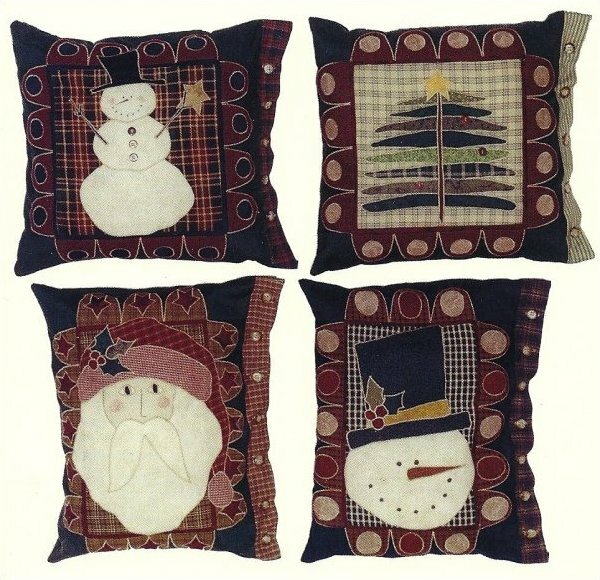 Celebrate the season with these appliqued pillow covers. Quick and easy to complete with fusible applique. You will want to make all 4. Makes a great gift giving idea. Santa will be happy to fill these stockings when he comes down the chimney Christmas Eve. 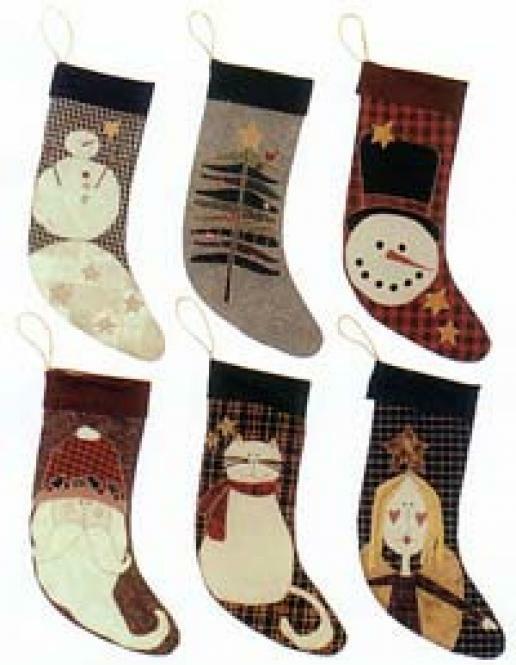 Pattern includes directions for six different stockings. 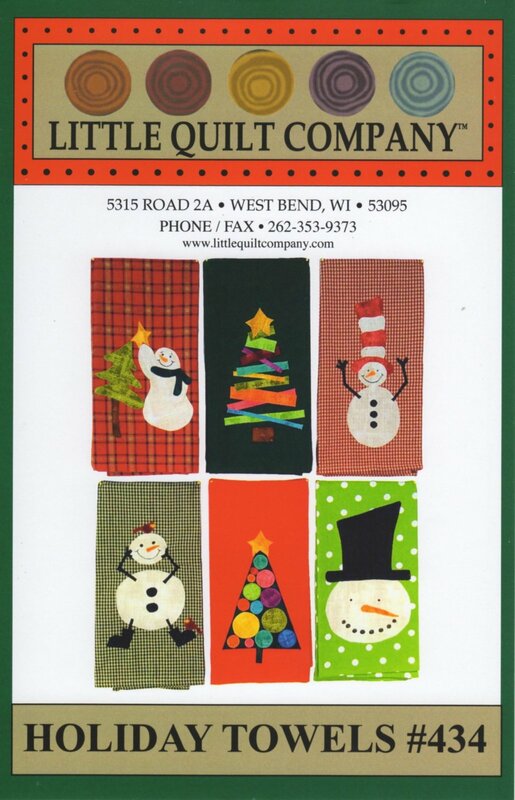 Get a head start on Christmas decorating with these easy holiday quilts. Makes a great gift giving idea. 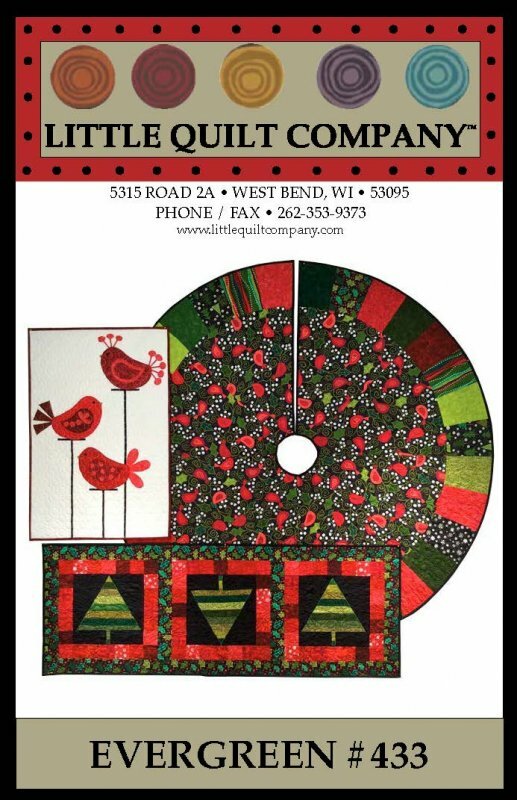 Quilts are fast and fun with fusible applique. 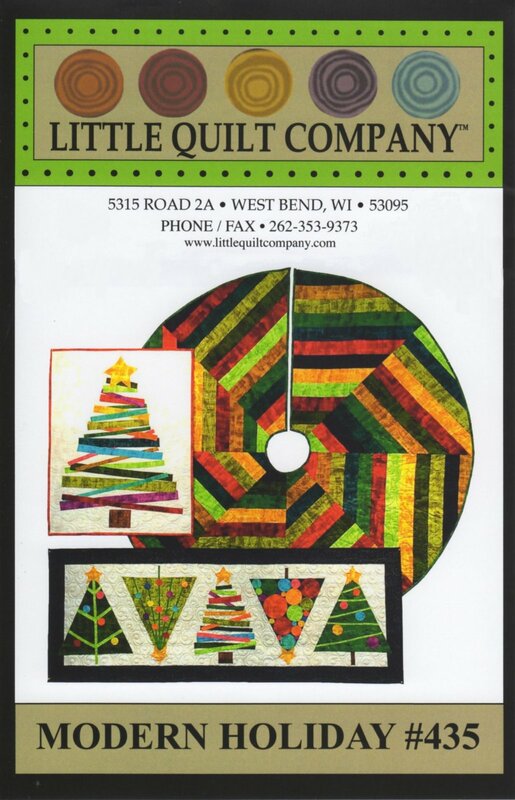 Pattern includes directions for tree skirt and quilt. 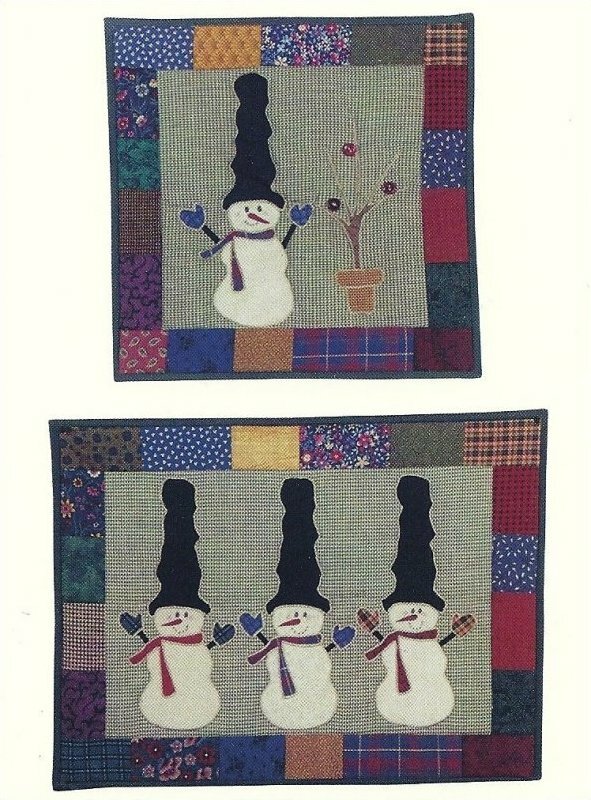 These happy snowmen are sure to bring a smile, even if the weather outside is frightful. 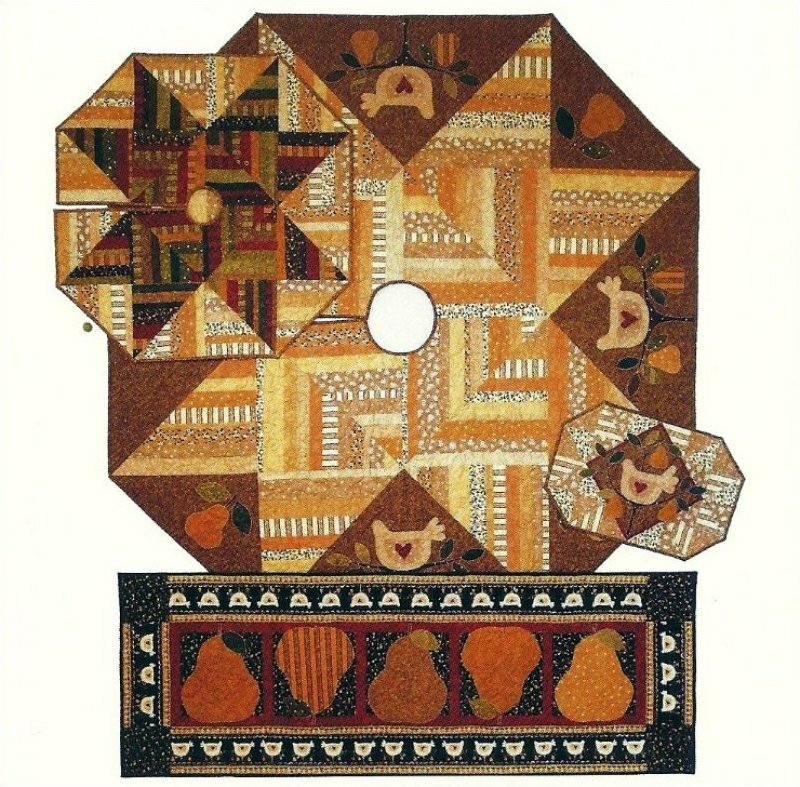 Pattern includes directions for 2 wall quilts. 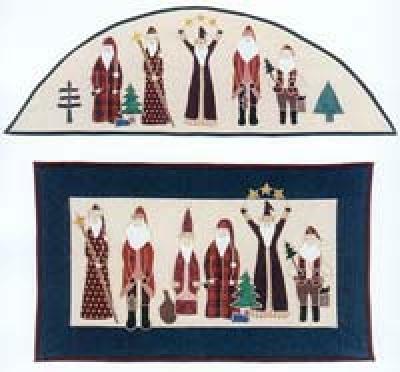 Fusible applique allows you to complete project quickly. Get ready for the Holidays with this great collection of projects to decorate your home. 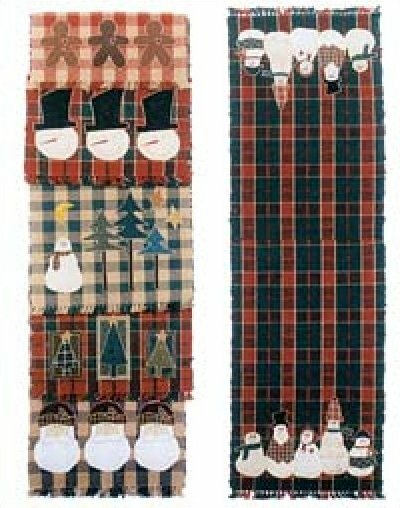 The pattern includes a place mat, table runner and tree skirts in two sizes. 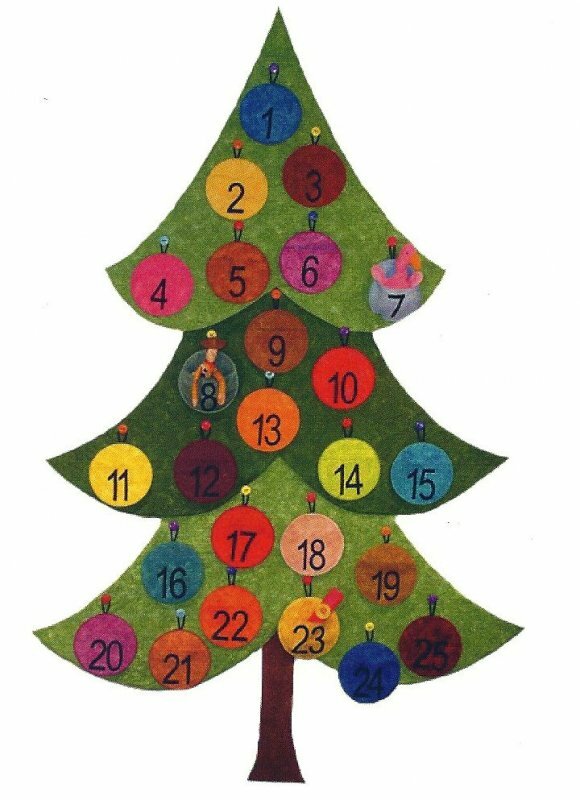 Countdown the days until Christmas with this fun advent calendar. The ornaments can be made plain or with pockets for special treats. Get ready for the Holidays with these three easy projects. These festive towels add cheer to any kitchen or bath. They make great hostess or teacher gifts. 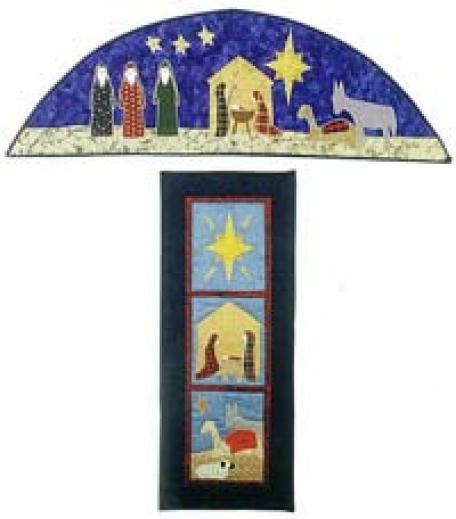 Fast and easy to complete with fusible applique. 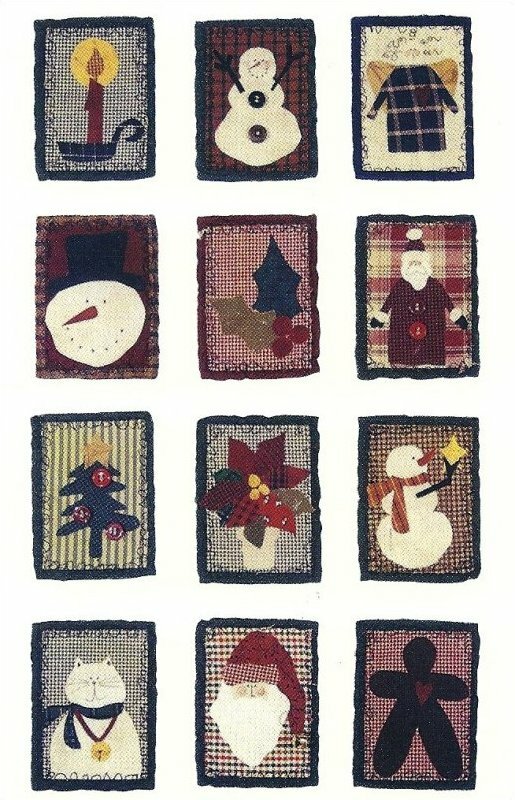 Scraps may be used for applique pieces.